Or your mom, or grandparents, or siblings or children, whatever. The point is that TeamViewer thinks that there's a market for remote support on Android TV. 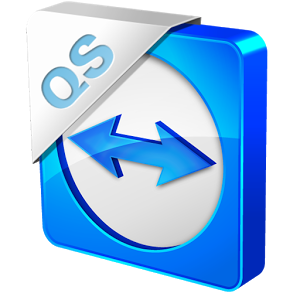 The QuickSupport app allows users to remotely view and control an Android device from a standard PC - it's essentially the reverse of a conventional remote desktop app. And now it works on your TV! How 'bout that. Honestly, the Android TV interface is so stripped down and simple - think Roku meets the Play Store - that it's hard to imagine a situation where someone would buy a unit for themselves and not be able to operate it. Still, for those rare occasions where you need remote support (or maybe for someone who wants help installing sideloaded apps?) it could be useful. All the standard functions of the regular Android version are included, like real-time video, chat, remote uninstall, and a process killer. You'll need to set up QuickSupport with this desktop app, available for Windows, OS X, and Linux. And if you're doing this for someone who needs remote support in the first place, you'll probably need to install it on their Android TV device for them as well. The only other changes in version 10.0.3027 are the usual bug fixes.